The weird and wonderful trio. The story of the F.P. Journe Vagabondage is, by now, fairly well known, having been related by Mr Journe on several occasions. 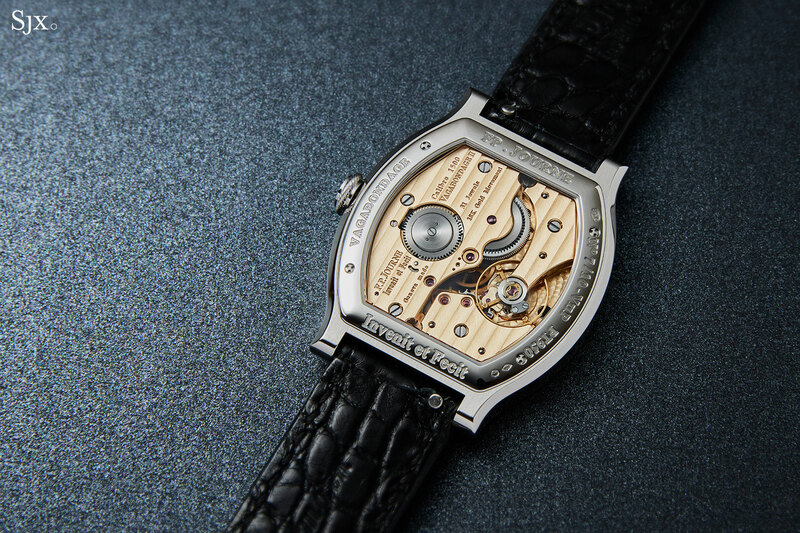 In the mid 1990s, François-Paul Journe was approached by a French watch collector who wanted a wandering hours watch. 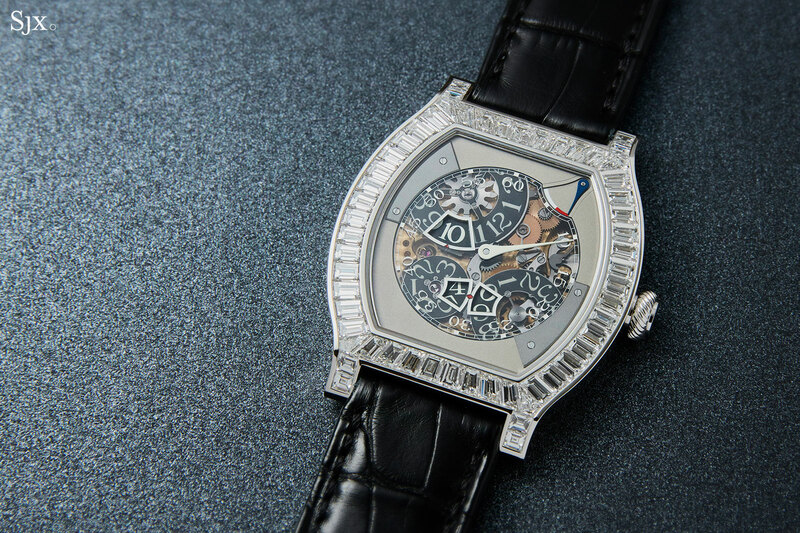 Soon after, a major watch brand enters the picture, offering the possibility of turning the one-off watch into a limited edition, which would have been quite an achievement for a young François-Paul. The project didn’t come to fruition, but Mr Journe eventually realised the concept in 2004, when he unveiled the Vagabondage I, first as a set of three unique watches for Antiquorum’s 30th anniversary commemorative auction, and then as a limited edition in 2006. Every single F.P. Journe wristwatch till then was round, as most of his watches still are today. But the Vagabondage 1 had a tortue, or turtle-shaped, case. Legend has it that Mr Journe executed the complication in a tortue case as a pointed reference to the brand that had commissioned and then abandoned the project. 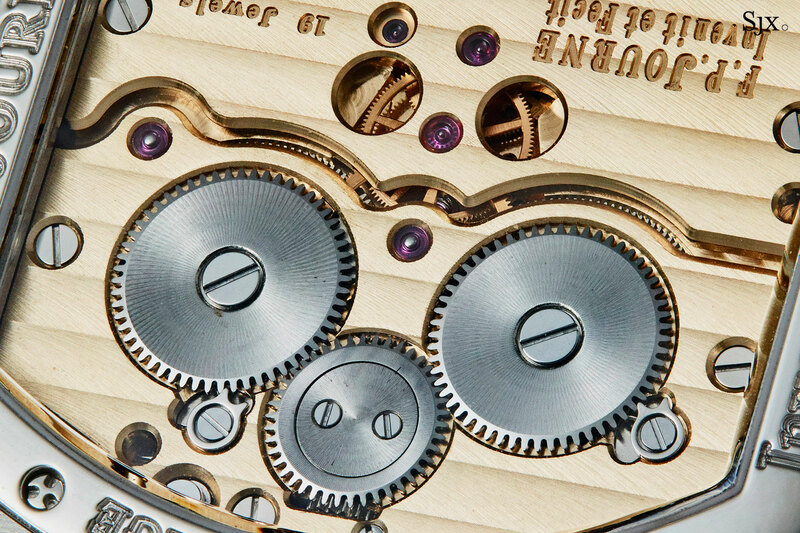 Fortunately Mr Journe had a grander vision for the Vagabondage, which is now a completed trio. Vagabondage is French for “vagrancy”, a name that plays on the hour display that “wanders” around the dial of the Vagabondage 1. The theme of a numerical, or digital, time display continued with the rest of the series, progressively becoming more complicated and novel. 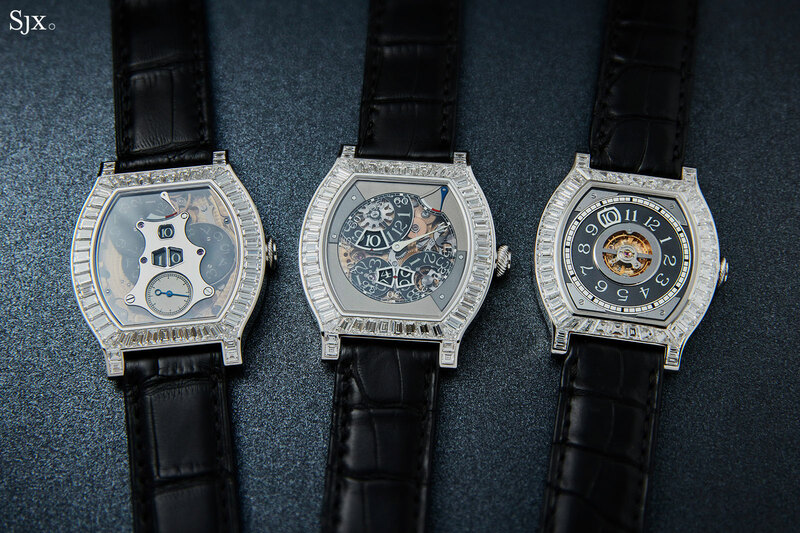 Another defining, but often forgotten, characteristic of the series is the fact that none of the three watches have the brand’s logo on the front. Thus the Vagabondage sits at the other end of the spectrum, stylistically and philosophically, compared to F.P. Journe’s better known complications, like the tourbillon and Resonance, which are primarily straightforward, watch-nerd creations. With more than a decade separating the Vagabondage I and III – the instalments were introduced in 2006, 2010, and 2017 – the evolution of F.P. Journe is palpable. 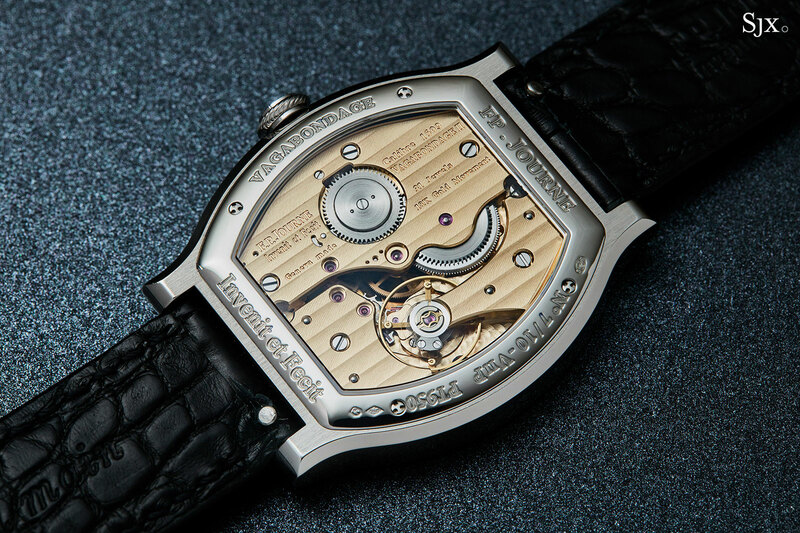 The Vagabondage I (VI) is an intriguing, quirky watch, but up close it lacks the sophistication in construction and components that the VII and VIII have. Rarely is the complete Vagabondage set assembled, especially in the diamond-set iteration. Together they illustrate the development of the line and the company. The diamond-set Vagabondage watches are each limited to 10 platinum examples in addition to the respective 69-piece runs for each model. 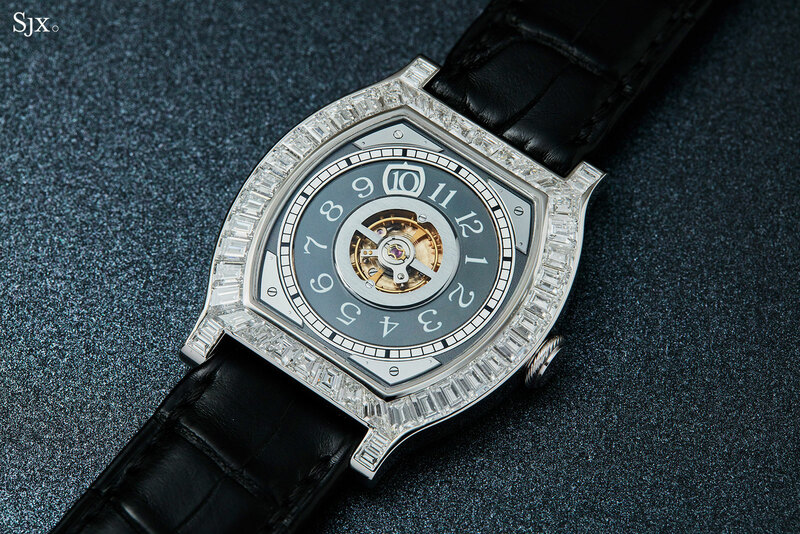 All diamond examples are set with baguette-cut diamonds on the bezel and top of the lugs, with the VI having a different cut of stone for the four corners of the case as compared to the VII and VIII, which are set identically with triangular diamonds at the corners. 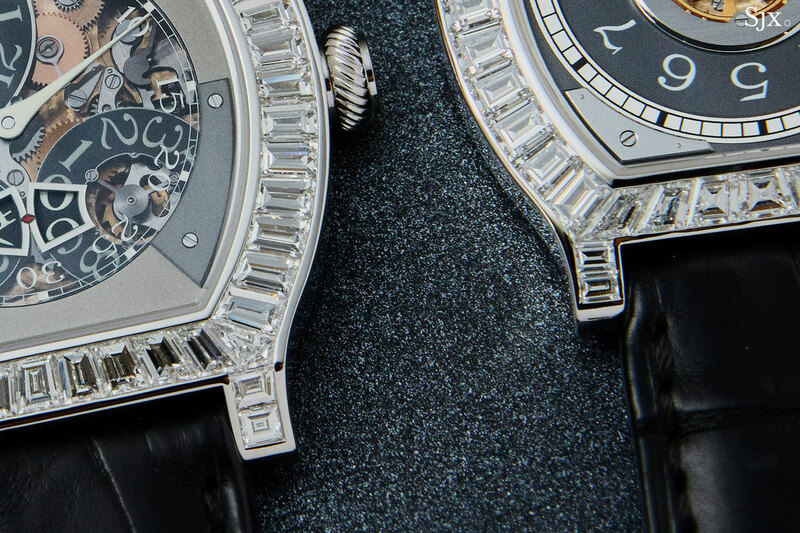 One exception is the set numbered “09/10”, which has an identical type of setting for all three watches, but with more diamonds required for the large VII and VIII. The VI is a wandering hours, with the current hour indicate within a white, squarish frame with a pointer on one side that is the minutes hand. Consequently the hour disc makes one revolution an hour, along with the minutes frame, hence the wandering. At the top of the hour, the frame jumps to the next hour digit, and continues its path onwards. 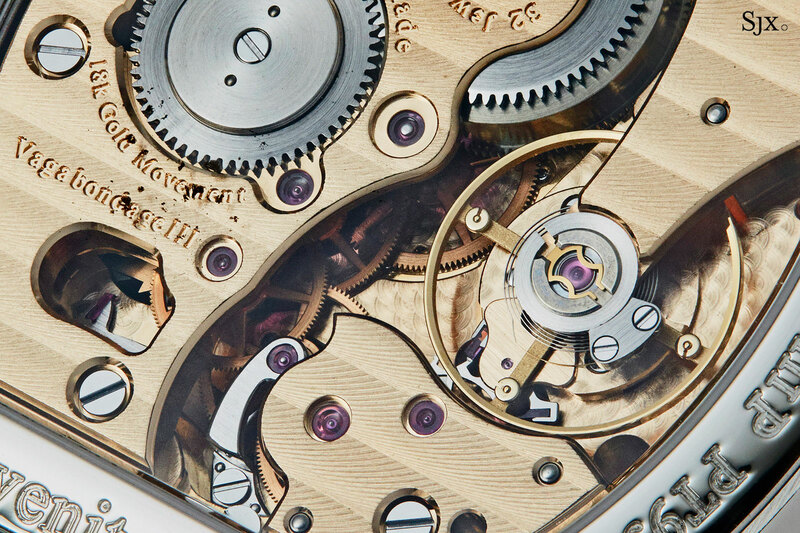 It’s a centuries old complication, found on 17th century clocks and subsequent pocket watches. 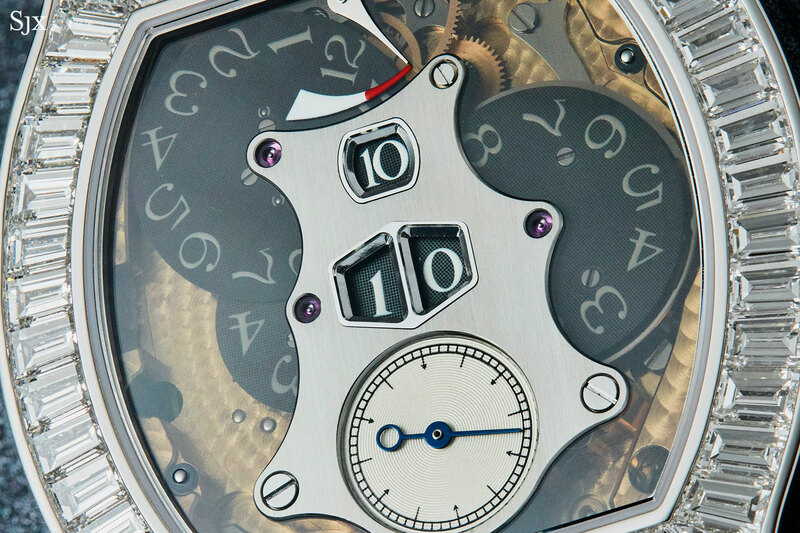 Variations of it are well known in modern watchmaking, most notably with the Urwerk’s satellite time indication. The first three examples of the Vagabondage I were unique pieces in white, pink and yellow gold, engraved with commemorative text on the chapter ring around the balance wheel. 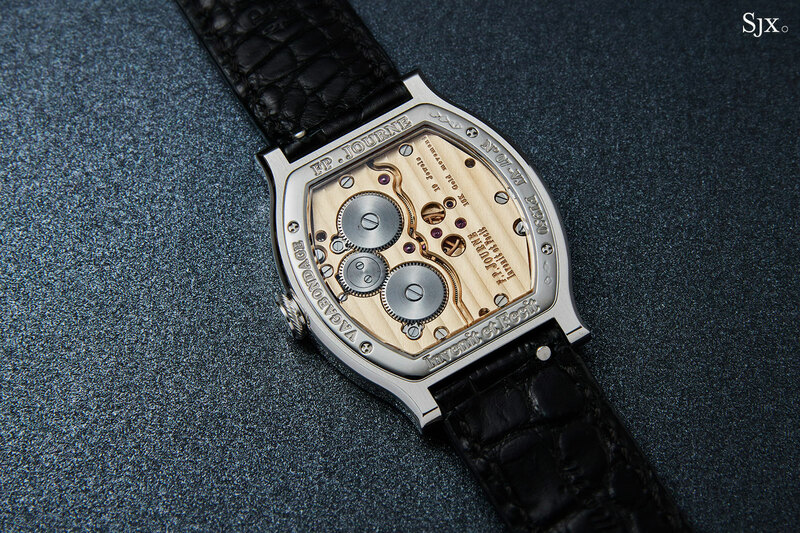 All three were sold at Antiquorum in 2004 – for SFr63,250, SFr66,700 and SFr80,500 repsectively – with proceeds going to the Brain and Spine Institute (ICM), a French medical research body that Mr Journe has long supported. And then there were another 66 pieces with platinum cases as the standard limited edition. 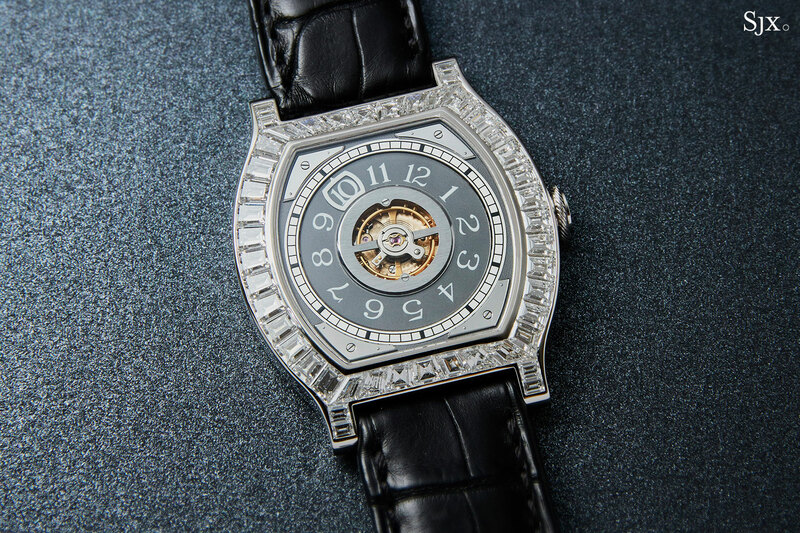 Within that 66, eight watches were customised for Sincere Watch, then the retailer of F.P. Journe in Southeast Asia. The eight were identical, save for the Sincere Watch logo repeated in between the hour numerals, and also on the barrel bridge on the back. The VI made its debut 15 years ago, when F.P. 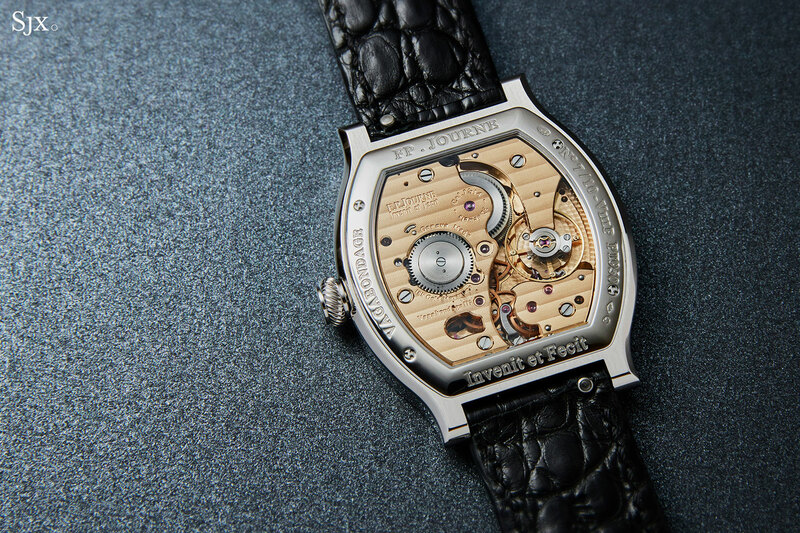 Journe as a company was only five years old, and it is revealed in the movement. The regulator is a standard, off the rack affair: a screwed balance with a Trivois regulator. 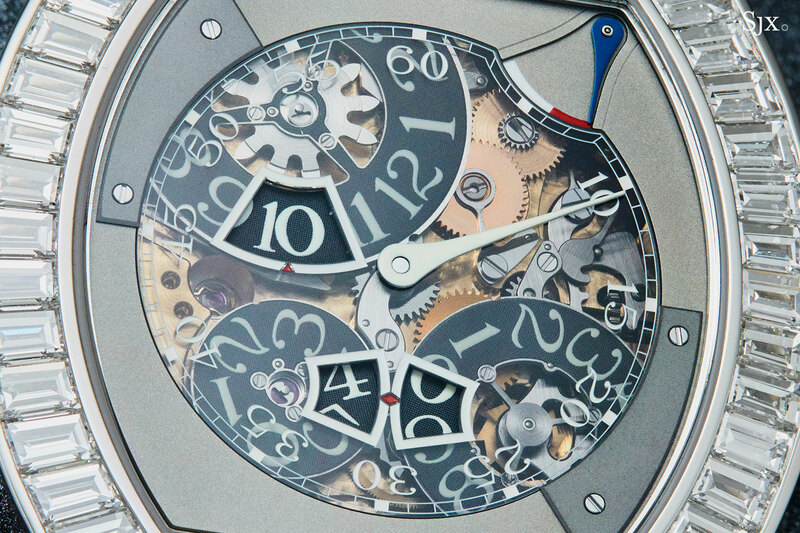 At the time the Trivois regulator was often found on mid- to high-end movements from the likes of Frederic Piguet and Lemania (which was a sister company of Valdar, the company that developed Trivois). 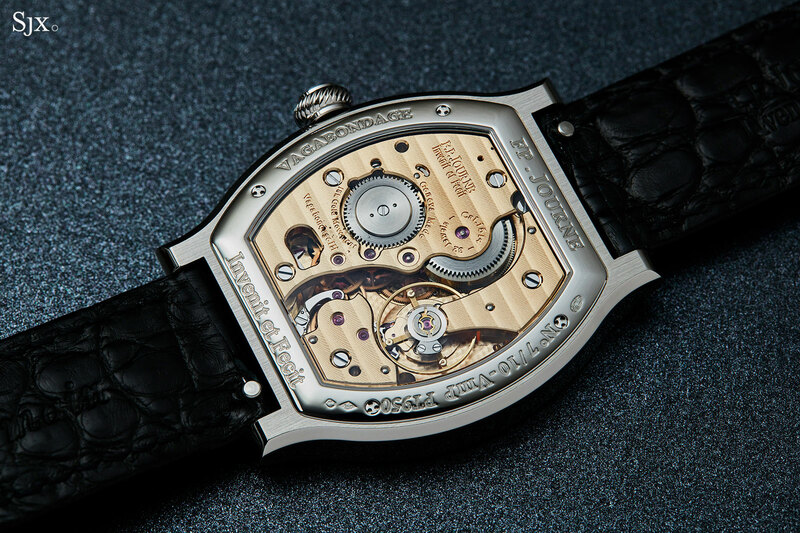 The case back reveals another element that is familiar – twin barrels wound by a single crown wheel, just as it is on the Resonance. 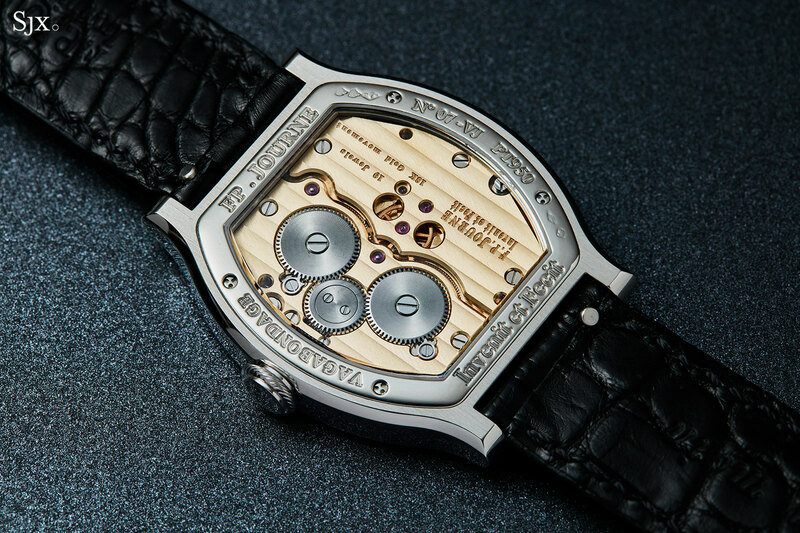 Of the three watches, the VI is the smallest measuring only 34mm wide by 42mm long. It is nearly too small for current tastes, especially since the tortue case accentuates the size of the case. The VII is the best looking of the series, with a face that might pass as symmetrical as first glance. It’s unconventional but still functional and orderly. 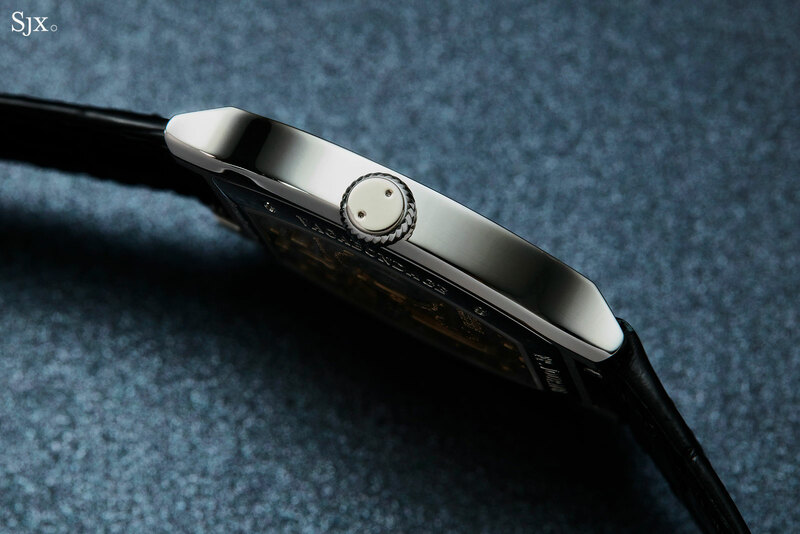 Crowned by the power reserve indicator, the time display is vertically linear, with hours and minutes are shown digitally in two windows, with a conventional seconds at the bottom. A brushed steel plate that’s artfully reminiscent of a sea slug frames the time display, as well as secures the discs beneath the dial. And the VII also wins on wearability, with the case is 37.5mm wide and 45mm long, larger than the VI and the ideal size for this case shape. Though it came only four years after the VI, the cal. 1509 inside the VII is clearly more proprietary, even visually. The in-house, free-sprung balance wheel, for instance, is now standard for F.P. Journe movements. And the movement is also fitted with F.P. 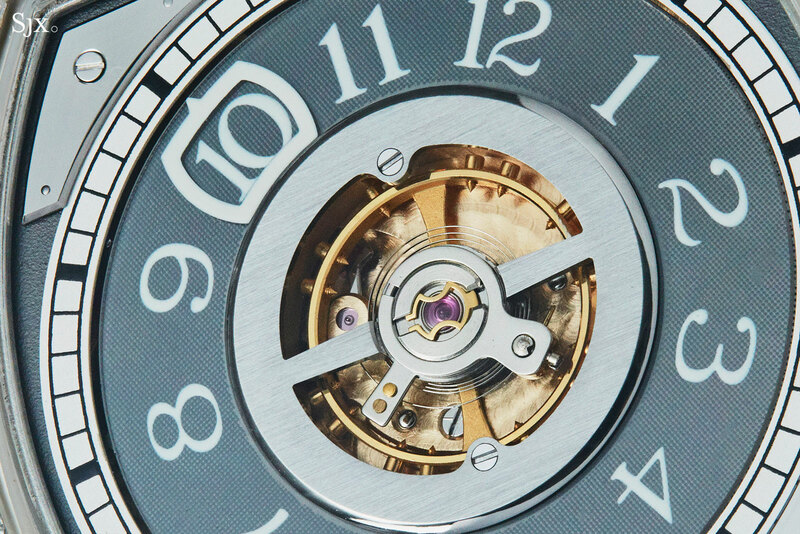 Journe’s patented remontoir d’egalite constant force mechanism that was originally invented for the tourbillon, but is used to manage the energy needs of the constantly jumping discs of the time display. But the cal. 1509 suffers from an unfortunately short 28-hour power reserve, barely more than a day. The ultimate digital F.P. Journe wristwatch was still to come. 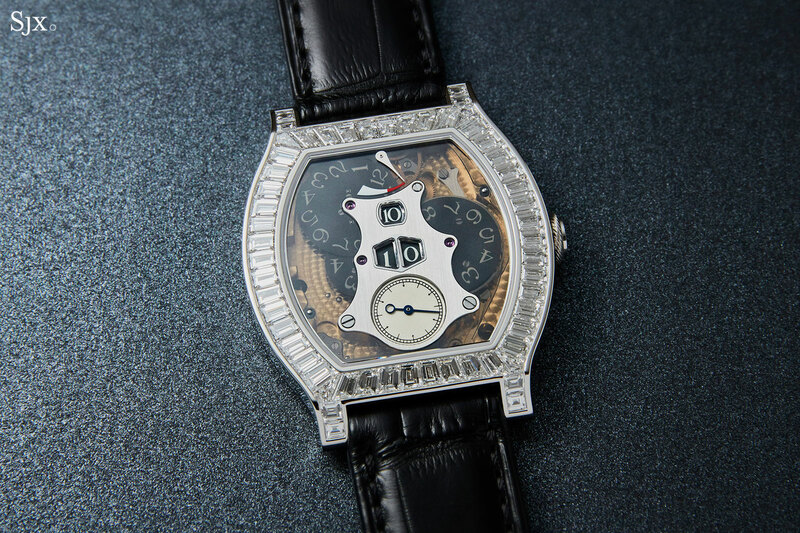 The VIII was the first, and still only, wristwatch with a constantly jumping digital seconds at six, along with a jumping hours located at nine. 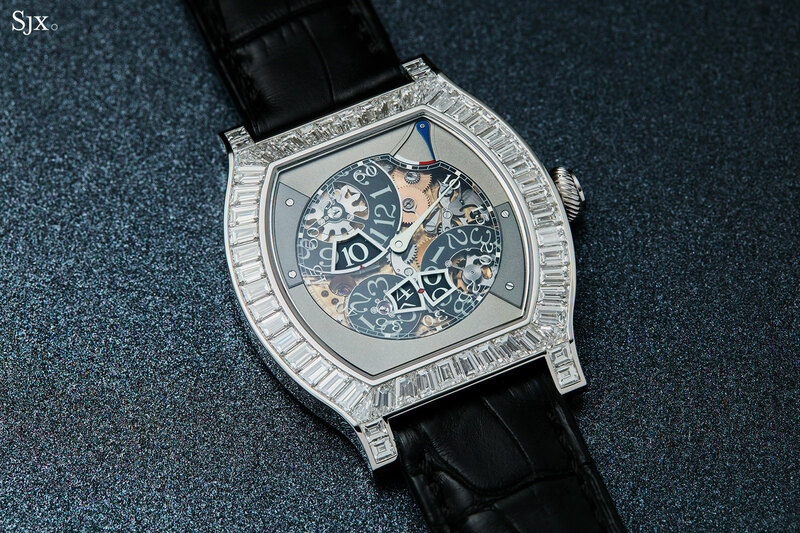 Harry Winston’s Opus 3 featured a digital countdown seconds, but only for the last three seconds of each minute. On the other hand, the VIII is always jumping. In practice that makes for a confusing and distracting time display. Having worn the VIII for some time, the seconds digits are inevitably confused for the minutes, even after a few months. 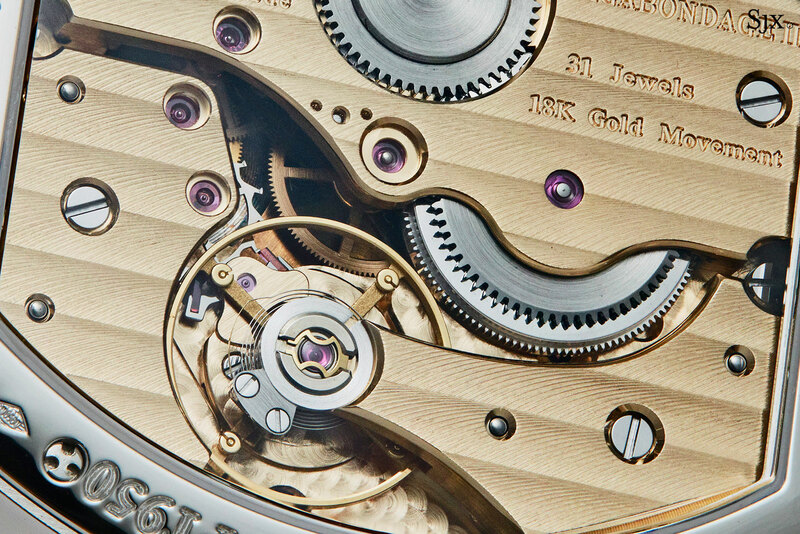 The slim minute hand is usually lost amidst the discs and gears below the dial. But the VIII is a tremendous achievement mechanically and despite being a small watch, a remarkable thing to observe on the wrist. The jumping seconds are entrancing. And the VIII still manages a respectable 40-hour power reserve. The cal. 1514 inside relies on two wheel trains, one for the minutes and hours, and another just for the seconds. Inserted along the seconds wheel train is a one-second remontoir that stores and discharges a tiny, constant dose of energy every second, just enough to jump the seconds discs. The independent wheel train for the seconds means that it is not in sync with the minutes, so “60” seconds doesn’t coincide with the minute hand being exactly on a hashmark. And another downside is the non-linearity of the remontoir – it doesn’t release exactly the same amount of energy at exactly the same interval – so not every single seconds jump is exactly identical. Physically the VIII is almost identical in size to the VII, being a fraction of a millimetre larger and thinner, or 37.6mm by 45.2mm and 7.84mm high. And like the VII, it wears well. 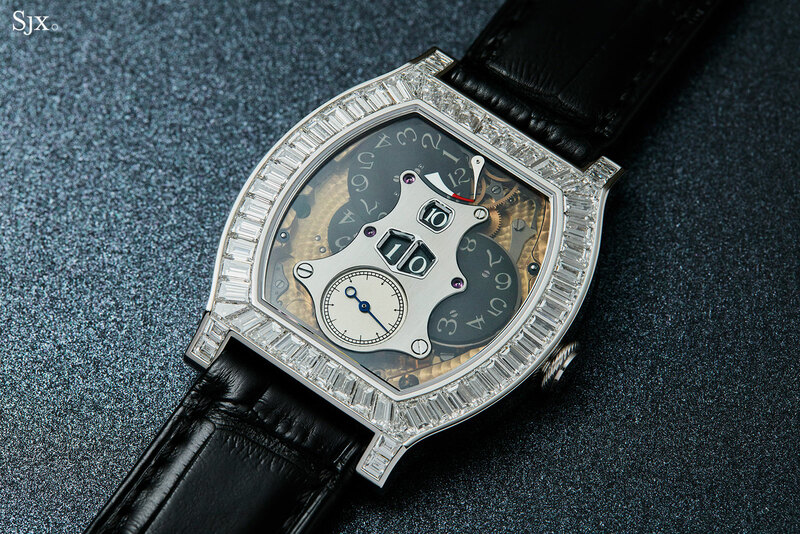 Mr Journe has long stated the Vagabondage stops at three, which might have meant the end of the inventive and lyrical complications, which would have been a shame. But fortunately Mr Journe’s creativity with new time displays appears to continue unabated, with him dropping hints every so often about a complication that’s surprisingly different, albeit one in a round case, that should make its debut in the next two or three years. A tantalising hint as to what F.P. Journe has in store for 2017.